If you’re looking for more inspiring stories of women in ag, look no further. Chances are, you’ve listened to an episode or two of the Rural Women Inspired Podcast. But, there’s another lovely lady I found interviewing women. Meet Katie. 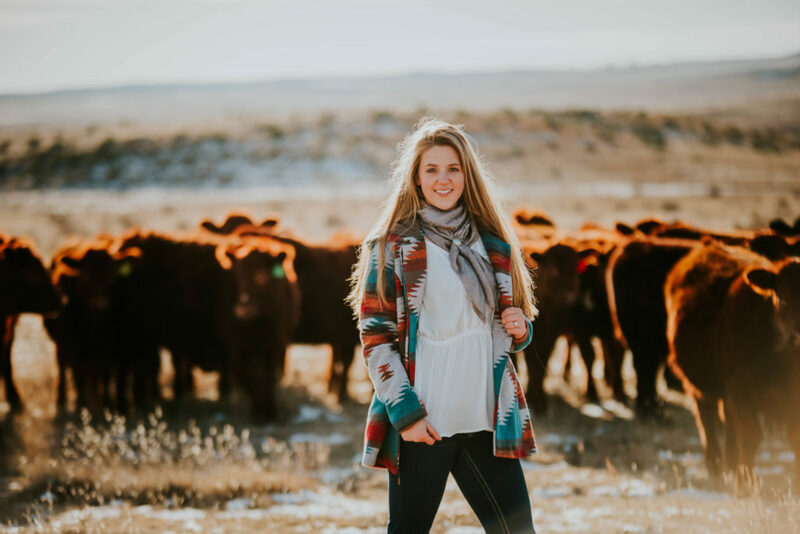 Katie grew up in a small town in Colorado where she was heavily involved in the 4-H program that ended up sparking her love and drive for all things agriculture. She went to three different colleges, working several jobs in the ag field, figuring out what she wanted to do along the way. 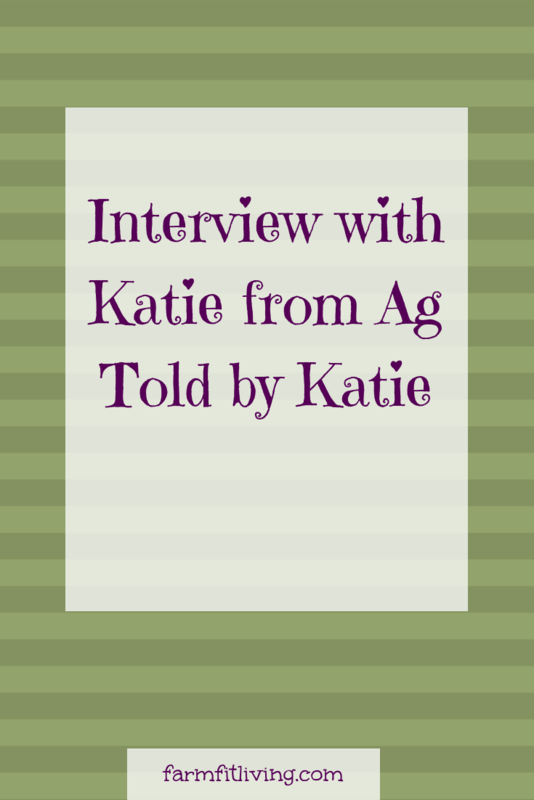 Now she manages “Ag Told by Katie”a blog that focuses on women in ag and their stories, while also working part-time at a gym in town, and helping her husband run their cattle ranch. Katie didn’t grow up in agriculture and she struggled at first to find her place in the ag industry. She was worried about how she could get started in it without growing up on a farm or ranch herself. Throughout college she worked in various agricultural jobs, met her (now) husband, and received a degree in Animal Science. As she navigated everything she wanted to connect with other women in the industry and tell their stories. As she began to connect with other women she realized that there were plenty who wanted to be a part of the ag community or had a passion for ag and didn’t grow up in it. 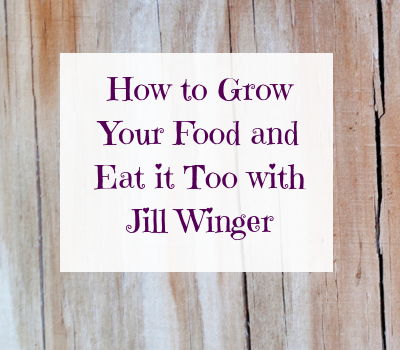 At first she wasn’t sure if there would be any interest but as she reached out to women they were eager to share their own journeys into agriculture whether they grew up in it, married into it, or ventured into it themselves. She quickly began to realize that sometimes life on the farm or ranch can get pretty lonely, it’s normally the person and their livestock or tractor keeping them company. So having a community where they can connect and inspire and be inspired became an important part of Katie’s mission. Katie has always been a planner and schedule oriented person so learning that sometimes things don’t go to plan, especially on ranch, has definitely caused some learning curves. However she’s learned that sometimes you just have to throw the schedule out the window and focus on what you can accomplish. An ideal week for Katie is working 3-4 days at the gym which ends up being all day since she also runs the errands for the home and ranch. Living outside of town by about 40 minutes she ensures that her husband and his dad have the supplies they need and will pick-up what’s needed for them as well. When she’s having a work day from home her and her husband normally go to their respective computers and work on their businesses early in the morning. She’s blogging, posting to social media, managing a client’s books, etc. Once light breaks they both head out to handle whatever chores need to be done. It’s winter right now so that normally involves breaking ice most mornings. Any big projects they tackle together first thing in the morning. Once afternoon rolls around it’s time for a workout and more computer work until it’s time for dinner which, of course, depends on the season. Joe, her husband, is used to helping out with dinner so they tag team that and enjoy one another’s company. Katie is a big fan of preparing ahead which means she’s had to train her mind to pick up three jars of spaghetti sauce instead of just one, freezing meat to pull out and put into the instant pot or crock pot on busy days, and utilizing making bigger meals in order to have leftovers for lunch or dinner the following day. 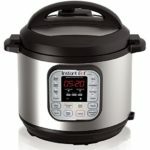 Grab your own Instant Pot Here & Start Saving Time! She’s also sure to do bookwork first thing in the morning so that it’s not been put off when she’s exhausted at the end of the day, or not getting to it at all when things don’t go according to plan. First step back and be super grateful for living where you live. A lot of folks don’t get the opportunity to live in a small town or rural area out on some acreage. She is so grateful for having the ability to go on a walk, grow her own food, raise her own food, not have to deal with traffic. She recommends you understand that your version of success is going to look different than everyone else’s, but being really grateful for what you have right now is a great first step. Katie isn’t a stranger to struggling with fulfillment and it’s something that she’s had to deal with recently. She’s seen a lot of her friends from her college go and use their degrees in agriculture for their jobs, or become ag teachers and the thought of “what am I doing with my life” as she’s cleaning treadmills has definitely popped into her head. However as she’s really surveyed her life she’s just really grateful for where she lives and having the opportunity to work outside and alongside her husband.